A couple of years ago, Mohammed Al-Shawaf, a Kiva Fellow serving in Palestine previous to me, wrote a thoughtful post on the complexities of implementing a women’s empowerment agenda through microfinance. Having served my placement at the same MFIs as him, I’ve had the opportunity to learn more about FATEN and Ryada’s women empowerment initiatives and implementations. The two institutions are far apart in their models, with each carrying associated benefits and disadvantages. I also had the opportunity to meet with a women’s savings and lending cooperative supported by a non-Kiva MFI, showcasing an alternative approach to women empowerment here in Palestine – through cooperatives rather than individual lending. Women empowerment is an integral part of FATEN’s mission statement, and 78% of active clients are women. Many of these borrowers, like Kawthar (described in Mohammad’s blog post), are in charge of their own entrepreneurial project(s): in Kawthar’s case, a clothing store and a health and beauty store. At first look, as Mohammed noted, this is not the empowerment story that Kiva lenders have come to expect. But in interviewing Rima, I found out that the Kiva profile description in fact understated Rima’s role in the enterprise. True, it is her husband’s butcher shop, but Rima is the one receiving the meats at home and making the initial cuts to prepare them for display. Both husband and wife are invested in the enterprise. I heard an analogous story from FATEN borrower Aida, who received a loan from FATEN to “purchase baby olive trees for her husband to add to his olive grove to increase olive production.” Again, the profile has understated Aida’s role in the enterprise. While her husband and son-in-law are the ones working in the ones working in the olive groves, she manages the shop from which they sell their products. 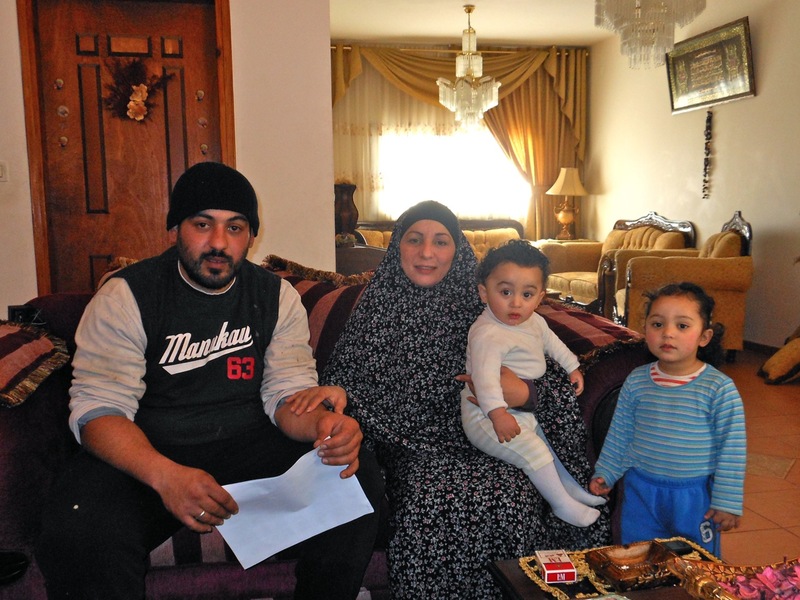 Importantly, Aida is on the hook for repayments, just as is Rima and all other women who receive loans from FATEN. In many cases, it does wind up being a man making the trips to the bank to deposit the repayments, but at the end of the day, it is the woman’s name on the contract and it is her from whom FATEN will seek the funds in cases of delinquency. There is the middle ground: loans that go to women to support joint wife and husband projects. Eman shares in an business resale enterprise with her husband. Their model is to resell to Jerusalem businesses and souvenir vendors bulk products made in their city of residence, Bethlehem. Her husband manages the relationships with the suppliers in Bethlehem, while Eman travels every day into Jerusalem to manage relations with the clients. The loan profile on Kiva clearly states that this is a joint enterprise. 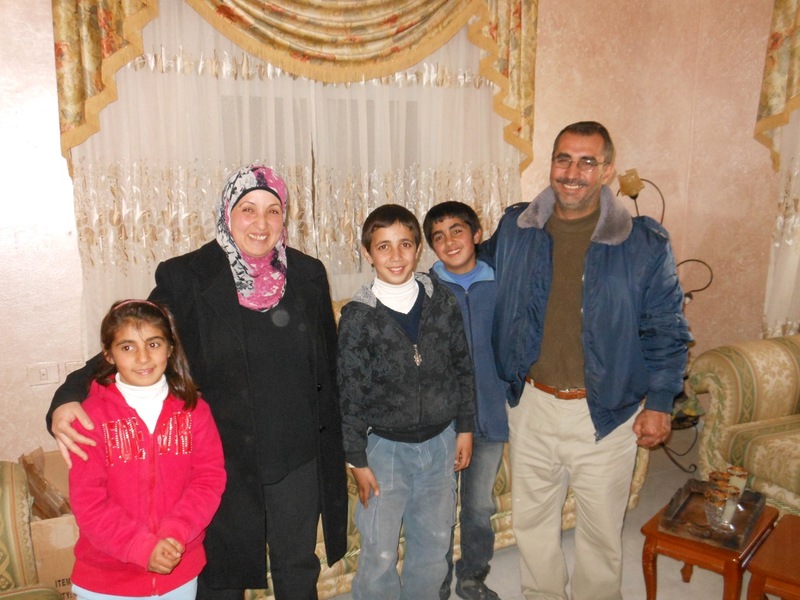 In effect, Kiva lenders have three choices when it comes to lending to women through FATEN: lend to a woman with her own enterprise; lend to a woman who will use the money to support her husband’s enterprise; or lend to a woman who is jointly and equally involved in an enterprise with her husband. To FATEN’s credit, they are transparent in their profiles about what type of loan yours will be. In’am Zaqout, the Regional Manager for the Southern West Bank, assured me that whatever the motivations may be to make loans to women, FATEN will be sure that the woman is part of the project. In meeting 4 randomly selected female borrowers, I did not see evidence to the contrary. Assuming, for a moment, that this small sample is representative of all of FATEN’s women borrowers, the question remains whether simply being involved in a husband’s project constitutes women empowerment. Rima, for example, works only at home – contributing vitally her husband’s project, yes, but not in a public place. Aida, on the other hand, staffs the family farm’s store. She is also a teacher, so she is quite integrated into the public sphere of her community. Neither borrower received ownership of the purchases made with the loan, often considered a significant measure of women empowerment through microfinance. True, all women borrowers are ultimately responsible for the repayment of the loan, but in some cases, they will never actually step foot in the bank to receive the disbursement or make a repayment. But they are still responsible – thus making them an indispensable part of the project – and they do partake in the work. But we should also not discount the possibility that I did not get honest responses in my interviews with the women borrowers, particularly from Rima and Aida – that they are being taken advantage of and that their participation in the work is essentially obligatory, a la household duties, rather than of free choice. Note:I did not get this impression. But I did not conduct an academic study, and I am not an expert on gender in the Middle East. So are these loans, like the ones made to Rima and Aida, empowering women or not? Honestly, I don’t have an answer. In light of the uncertain balance between the positive and possibly negative impacts of these sorts of loans, I think it is in the judgment of the Kiva lender as to whether their loan will empower the woman borrower or not. And consider the counterfactual: what if the loans to Rima and Aida were never made? Amer Himdi, the Operations Manager at Ryada, told me that Ryada will only lend to women who are co-partners in their enterprises or fully in charge. In fact, Ryada does not prioritize lending to women in its mission statement at all. The combined result is that only 19% of its loans go to women, but none of these loans are made on the basis of securing more facile repayment. The 59 percentage point difference in the portfolio makeup of Ryada and FATEN does not mean that the bulk of FATEN’s loans to women are made on the basis of securing easy repayment. There is a plainly visible difference in the staffing of these two institutions: FATEN has 26 female loan officers (out of 50), while Ryada has 1 (out of 25); FATEN has 4 female branch managers (out of 13), while Ryada has none. In a society where many families discourage women from meeting other men without a male relative present, these gender ratios have a significant effect on the clientele that each institution can attract. FATEN pays more than lip service to the goal of lending to women, and its intent is reflected in its staffing. Female staffers have better access to the lives of women borrowers than male staffers do, and FATEN presumably is better for it to gauge, on a case by case basis, whether a woman borrower stands to benefit from her loan. So although there is the mandate to lend to women in part because they are easier to make repay, FATEN does by way of its staff make an honest attempt to ensure that its loans are not exploitive. Neither Ryada’s nor FATEN’s models for lending to women are perfect. Ryada lends to fewer women, but only to those who manage their projects. FATEN lends to more women, but not always with the impact of unburdening wives from financial dependence on their husbands. On the other hand, Ryada’s foundational staff, the loan officers, includes only one woman, whereas FATEN employs several. And neither institute pushes their women borrowers to take legal ownership of the goods they purchase with their loans, although social norms and ownership laws here would make that a very difficult objective in the first place. Philip is a Kiva Fellow working with FATEN and Ryada in Palestine. Fund their loans to women here. Entry filed under: FATEN, KF17 (Kiva Fellows 17th Class), Palestine, Ryada, a partner of CHF International. Tags: FATEN, Female financial empowerment, microfinance, Palestine, Ryada, women's empowerment.